Here’s a lovely illustration by MICHAEL BYERS for The Rotarian Magazine. This piece was illustrated for an article in Rotary Stories on Artis Henderson. 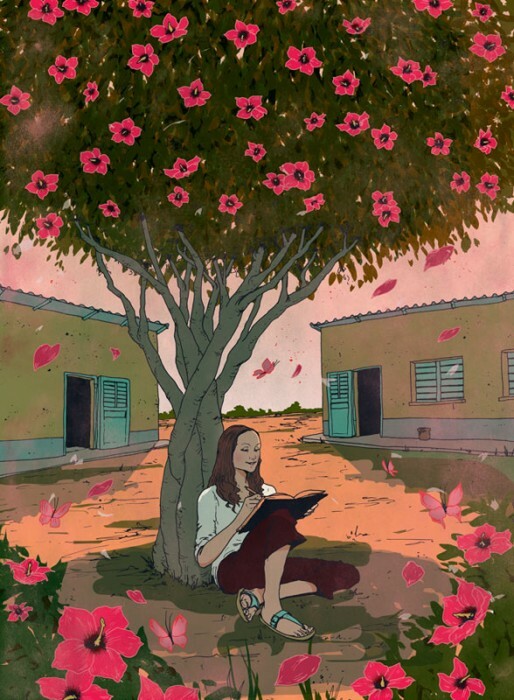 It was about the memoir she wrote after her military husband died and how it helped her start a new chapter by going to Senegal as a Rotary scholar. It’s a very intriguing article so take the time to read it here if you have the chance.